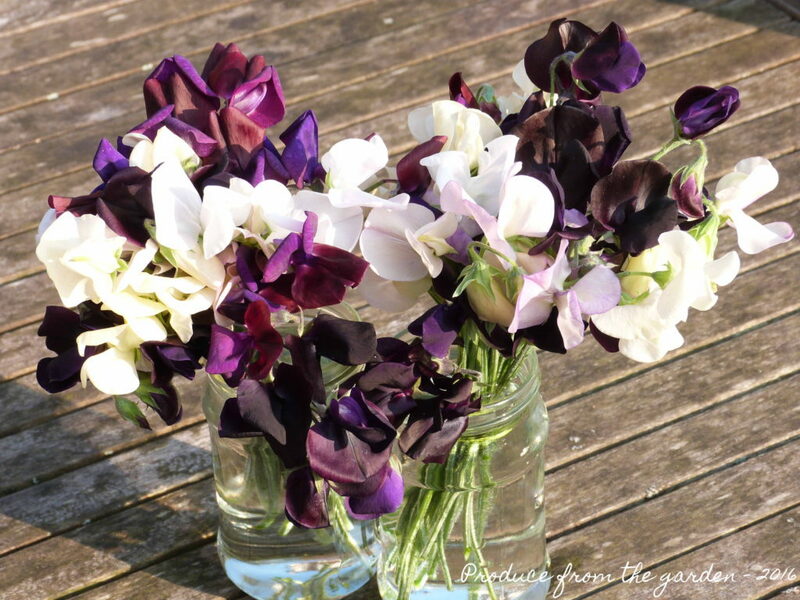 Sweet Peas are the quintessential English cottage garden flower; there will always be a place for them in my garden just for the idealised romantic image they conjure up, let alone their scent and great properties as a cut flower. There aren’t many flowers that can better the summer fragrance that drifts around your home from a freshly picked bunch of sweet peas. 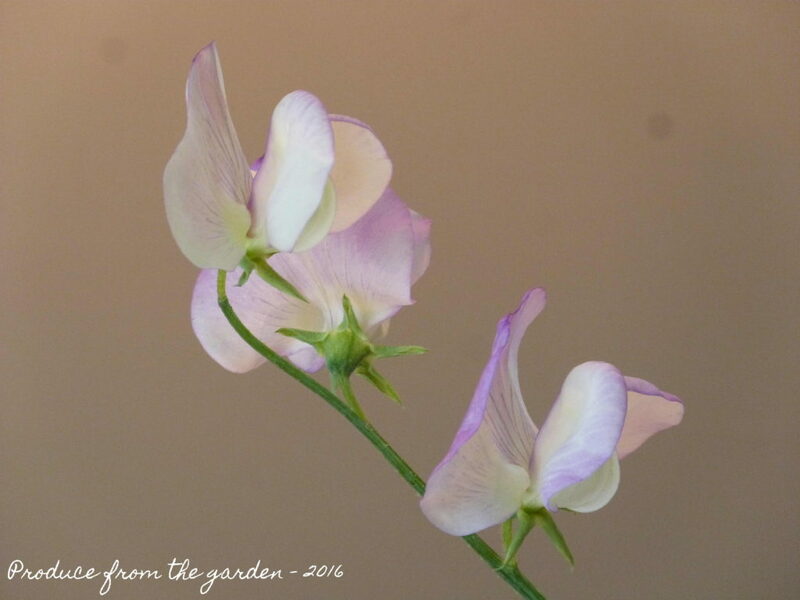 Over the years I’ve had mixed Sweet Pea success, with issues ranging from too short a stems for a cut flower, low flower yields and the plants giving up by high summer. 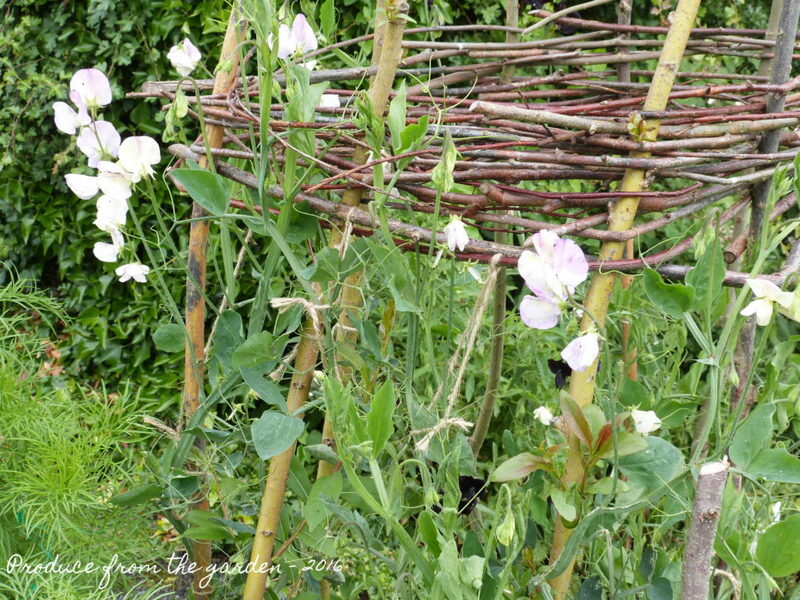 This year it seems to of all come together and with one wigwam of clambering sweet peas I’ve been picking a couple posy’s every few days, the flowers just keep coming. I think there are a couple of factors that have aided sweet pea triumph this year. Their wig wam is situated in full sun; I’ve popped one of the watering system sprinklers at the base in the centre of the structure and enriched the soil with plenty of well rotted garden compost. 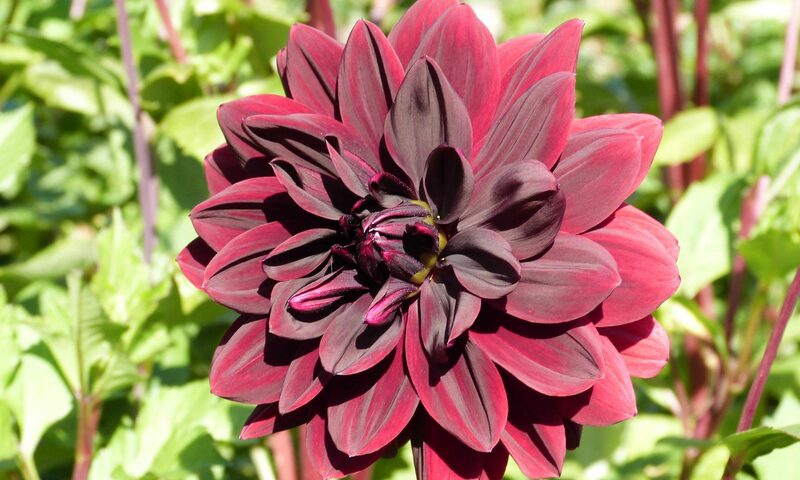 This has resulted in strong healthy plants.